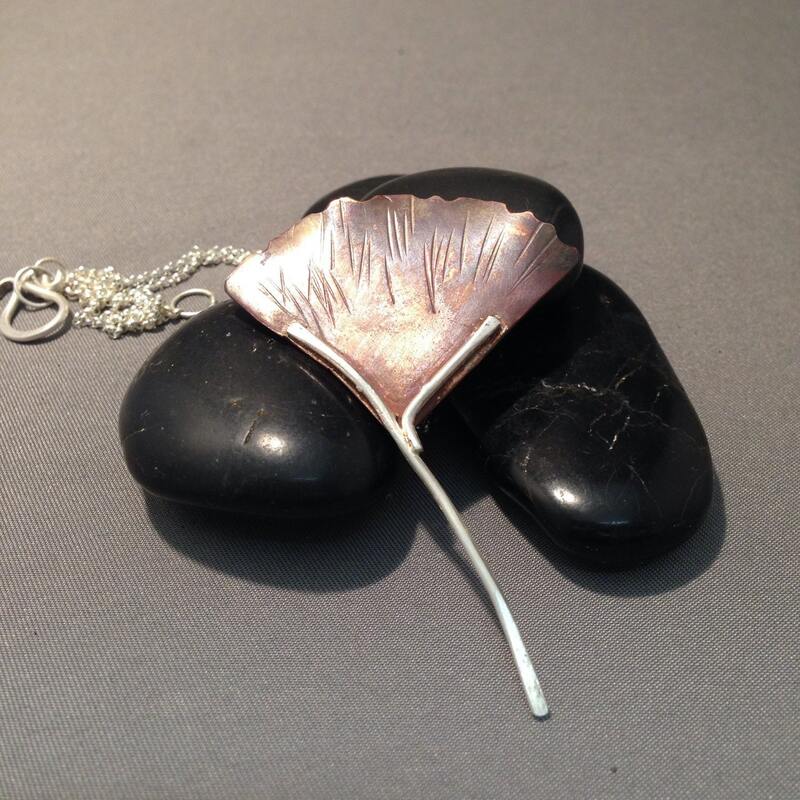 Ginkgo pendant using heat to patina copper and sterling silver wire. 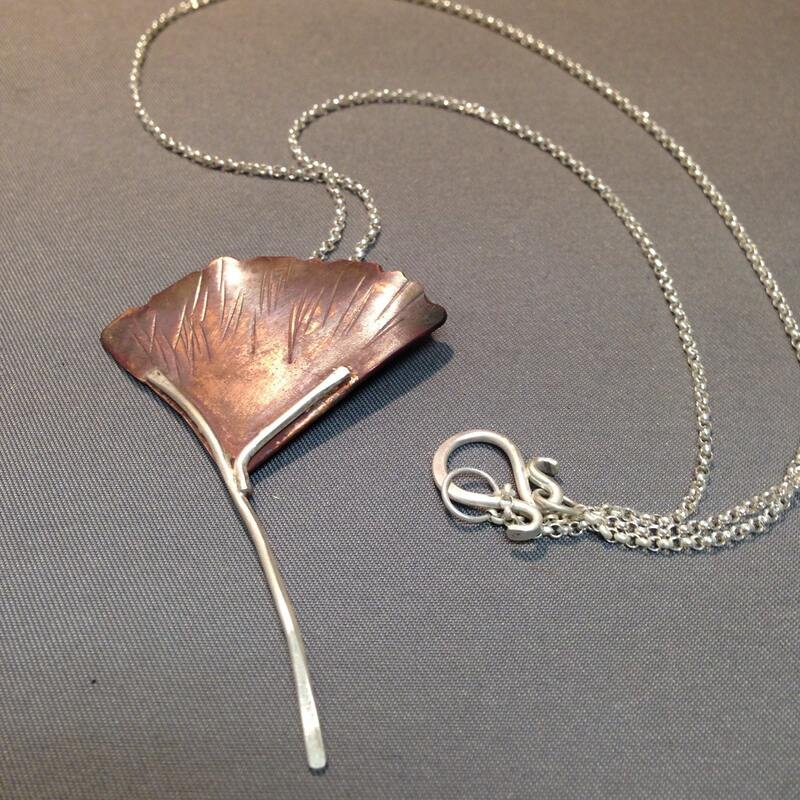 The ginkgo symbolizes peace, love, hope, longevity. 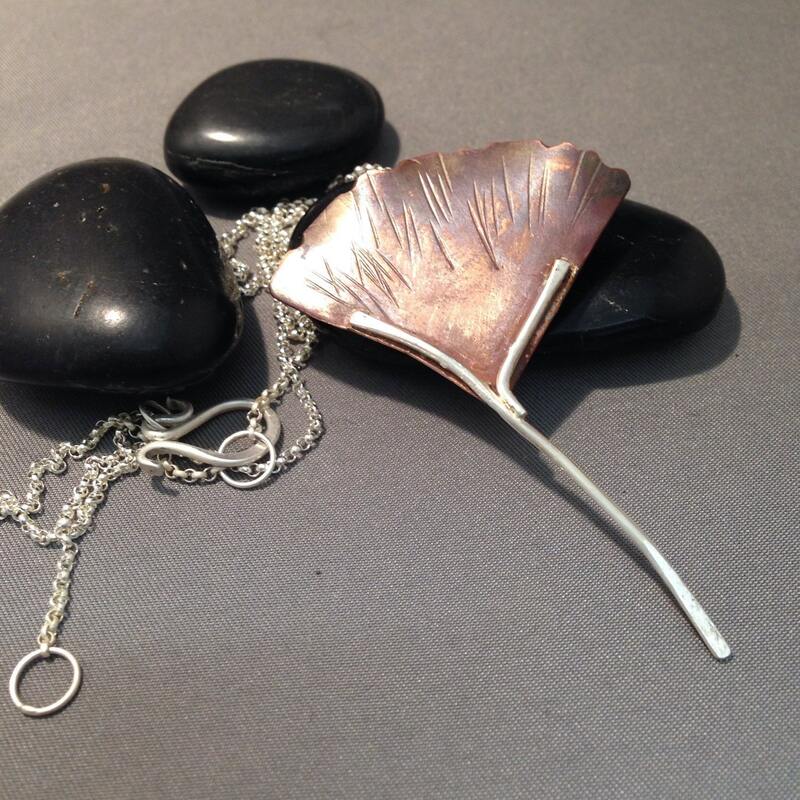 The sterling chain is adjustable 18-20 inches.